Stella obtained her first degree in Literary and Humanistic Education at Luigi Gurakuqi University in Shkoder and her second in Languages and Cultures of the Modern World at La Sapienza in Rome with a thesis on Toni Morrison, the first African American writer awarded the Nobel Prize. She refined her specialization with a writing and marketing strategies focus at the prestigious Scuola Holden, Storytelling & Performing Arts. Before devoting herself to real estate, she translating masterpieces of literature such as “Memories of Hadrian” by Yourcenar, “A Man”, by Fallaci and other authors. The training helped her to become an expert in the field of communication strategies. When she first entered the real estate sector, she immediately started working with the most prestigious Italian real estate, devoting herself in particular to the luxury residential sector becoming a member of Council of Residential Specialists. Through Coldwell Banker she became also a previews/Global Luxury Specialist. 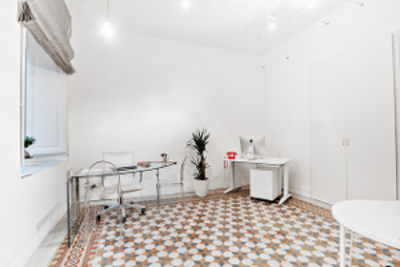 Thanks to her integrity and deep dedication to her work, she quickly achieved a high- level profile, allowing her to open up her own office a few steps from Piazza Navona and Piazza Cavour, thus becoming a point of reference for her numerous customers and for those who own luxury properties. 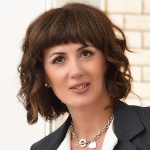 Today she boasts a national and international client portofoglio of real estate assets, while advising and guiding those interested in buying property in Italy and all over the world. 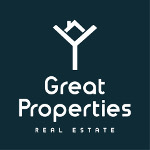 The Great Properties Real Estate team, multi- lingual and proficient and technologically sophisticated is composed of young and motivated people who have studied in Italy’s most excellent universities. Their mission is to provide the seller and buyers of international luxury property with an entirely new level of professional real estate representation thanks to the precious advice of lawyers, interior designers, architects and other technicians.